Obituary for Janet W. (Weir) Smiley | Kostanski Funeral Home, Inc.
Janet W. (Weir) Smiley, 88, of Greenfield, passed away on Jan. 29, 2019 at Charlene Manor Extended Care Facility surrounded by loved ones. Janet was born on March 31, 1930, the daughter of the late Warren and Minnie (Brocklesby) Weir of Greenfield. Janet was a graduate of Greenfield High School class of 1948. 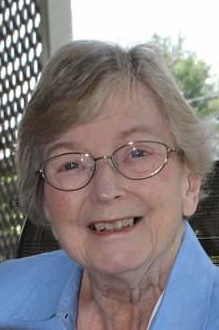 After graduation, she attended Franklin County Public Hospital School of Nursing (now known as Baystate Franklin Medical Center) and became a registered nurse in 1951. Janet and her husband of 62 years were married on Oct. 11, 1952. Janet is predeceased by her beloved husband, Edward Ricker Smiley, in 2015; son, the Reverend Thomas Smiley, in 1987; and son in law Kenneth Caouette in 2006. She leaves behind her daughters Susan L. (Michael) Parody of Waldorf, Md., and Carolyn A. Caouette of Rocky Hill, Conn.; six grandchildren, Thomas (Alyssa) Smiley, Michael Smiley, Kimberly (Richard) Bamber, Kristen Parody, MaryBeth (Kyle) Bowler and Michelle Caouette; four great-grandchildren, Hadley, Camden and Emersyn Bamber, and James Thomas Smiley; a sister in law, Ruth Ann Smiley Paden; and her caregiver Cindy Bielanski. Janet was an active member of St. James' Episcopal Church (now The Episcopal Church of Saints James and Andrew) and a long-time member of the altar guild. She also served on the Junior Branch Board of Organized Work at the hospital. Janet enjoyed playing bridge, watching the news and sports, and spending time with her children and grandchildren. Funeral services will be held Wed., Feb. 6, 2019, at 10:15am from the Kostanski Funeral Home, 220 Federal Street, Greenfield followed by a Mass at 11am at The Episcopal Church of Saints James and Andrew, 8 Church St., Greenfield. Burial will follow at Green River Cemetery in Greenfield. In lieu of flowers, donations can be made to The Episcopal Church of Saints James and Andrew, 8 Church Street, Greenfield, MA 01301.